s-peek is the first free of charge web and mobile application that easily allows you to understand the economic and financial quality of all corporations in Europe: from Portugal to Russia, from Turkey to Island. 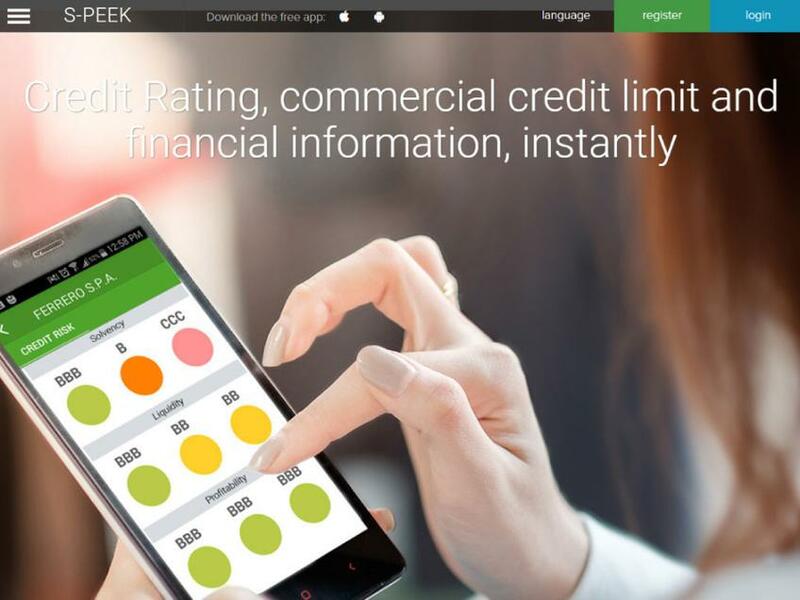 s-peek offers the credit scores evaluated by modeFinance which, with effect from July 10th, 2015, is registered as a credit rating agency in accordance with Regulation (EC) No 1060/2009 of the European Parliament ad of the Council of 16 September 2009. Dall'esperienza di modeFinance, la prima agenzia di rating fintech d'Europa, nasce s-peek, un utilissimo business tools che democratizza la gestione del rischio di credtio, offrendosi a PMI e freelancer, esperti e non; in tempo reale, tramite smartphone o altro device, è possibile avere informazioni dettagliate sullo stato di salute economico/finanziaria di un possibile cliente o partner.